As part of our first Litfest Springfest, two days of the very best in nature writing, we bring you another exclusive—Litfest 2018’s podcast! Free to download here, come and join us on a literary walk around the streets of Lancaster. Exercise your mind along with your legs! 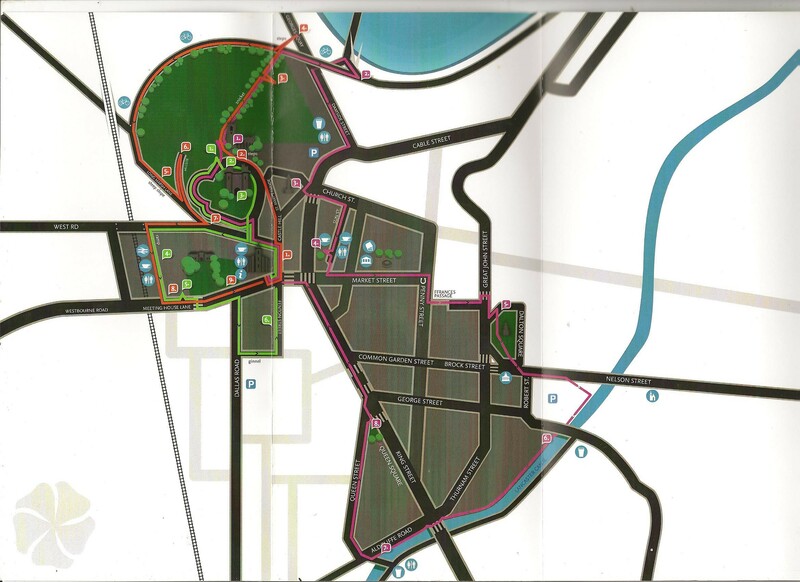 Inés has also kindly drawn a map of the route which can be downloaded here. Edinburgh, London, York, Manchester… many of these cities are known from their vibrant literary scene but, what about Lancaster? This hidden gem of the North West hosted the very first creative writing programme in the country, and this shouldn’t surprise anyone, since witchcraft, the Jacobite revolution, slavery and the mysterious tides of the river Lune have been inspiring writers for centuries. Listen to their stories when you walk around the narrow alleys of Lancaster – and discover the secrets of the city that lies between Morecambe Bay and the ancient mountains of the Lake District. 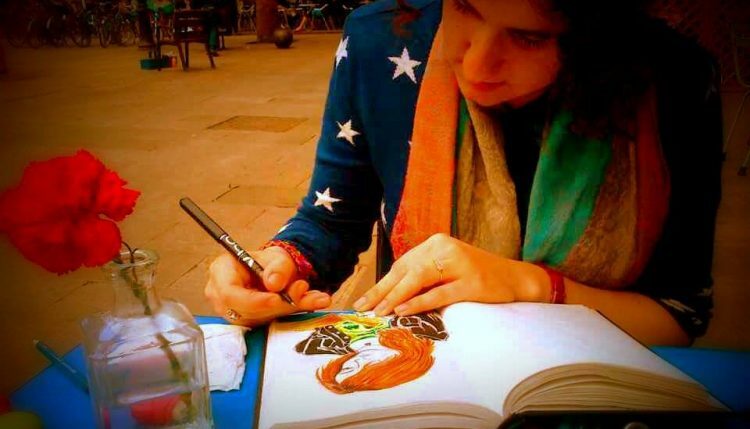 Inés G. Labarta (Madrid, 1992) is a writer, illustrator and associate lecturer in Creative Writing. 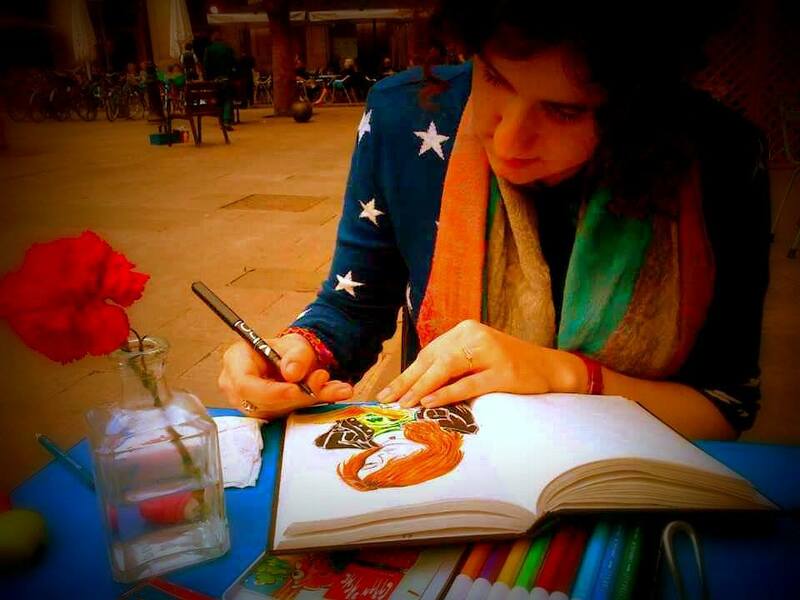 Her publications include a trilogy of novels – Los Pentasónicos (Edebé 2008-2010) – and two novellas – McTavish Manor (Holland House, 2016) and Kabuki (Dairea, 2017). She’s currently doing a Creative Writing PhD at Lancaster University. She loves podcasting, hiking, and all the things weird. 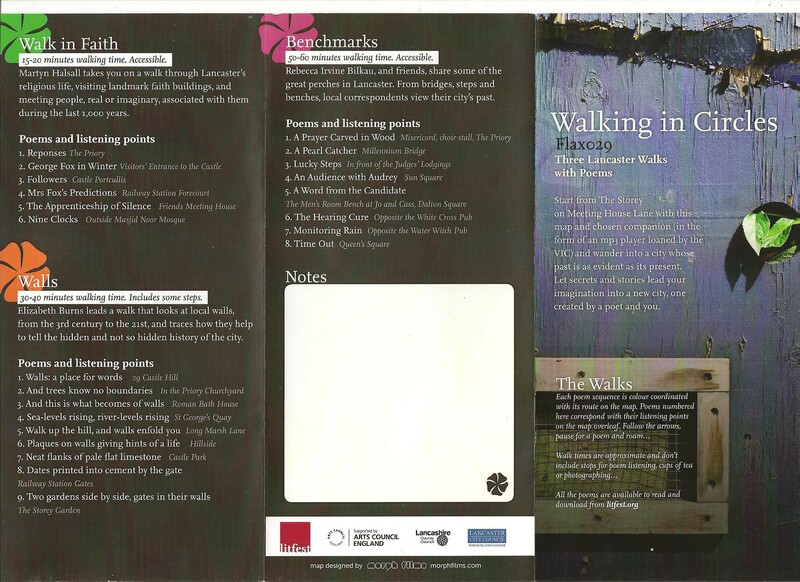 If you enjoyed our 2018 podcast why not take a look at our previous series of guided poetic walks from Flax listen here with additional map and guide below. STOP PRESS: LITFEST OPENING WEEKEND POSTPONED: ARTISTS SNOWED IN!